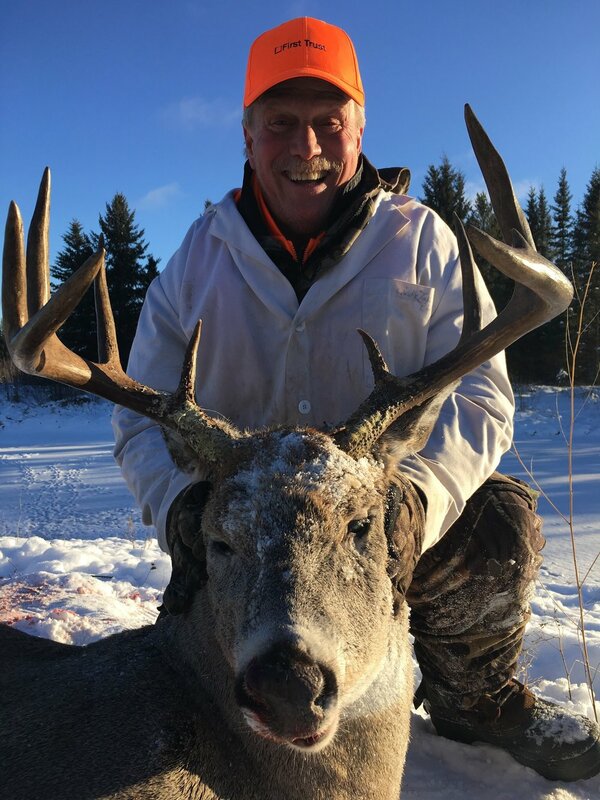 For your Saskatchewan trophy whitetail deer hunt, we offer an exclusive guiding area that encompasses 140 square miles of the very best whitetail habitat in northern Saskatchewan, a mix of boreal forest and river bottom. We are committed to trophy quality and work hard at proper deer management. We put a high emphasis on taking older, mature bucks and leaving the younger bucks that have potential for future years. We provide lodging, meals, guiding, and trophy preparation during the hunt. You have your choice of bow or rifle for your weapon. Hunters will travel to Saskatoon, Saskatchewan where they will be picked up and taken to camp by one of our staff. Overnight accommodations in Saskatoon are the responsibility of the hunter. There are several hotels close to the airport that provide shuttle service. 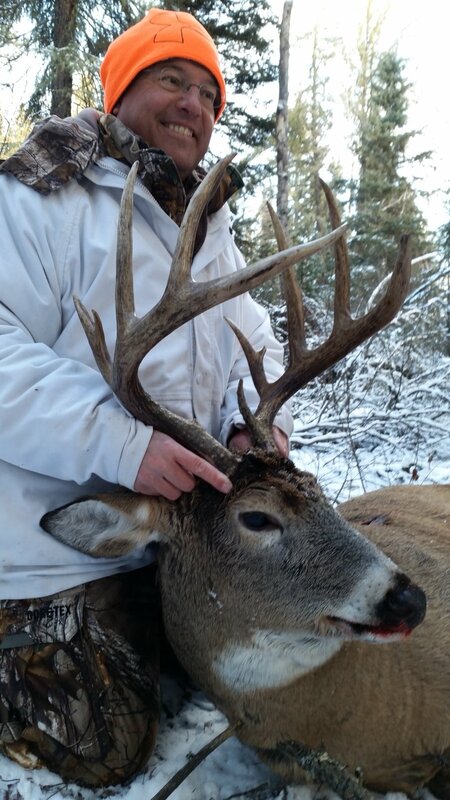 Once you have successfully completed your hunt, we will clean the skull and antlers and cape and freeze your trophy. 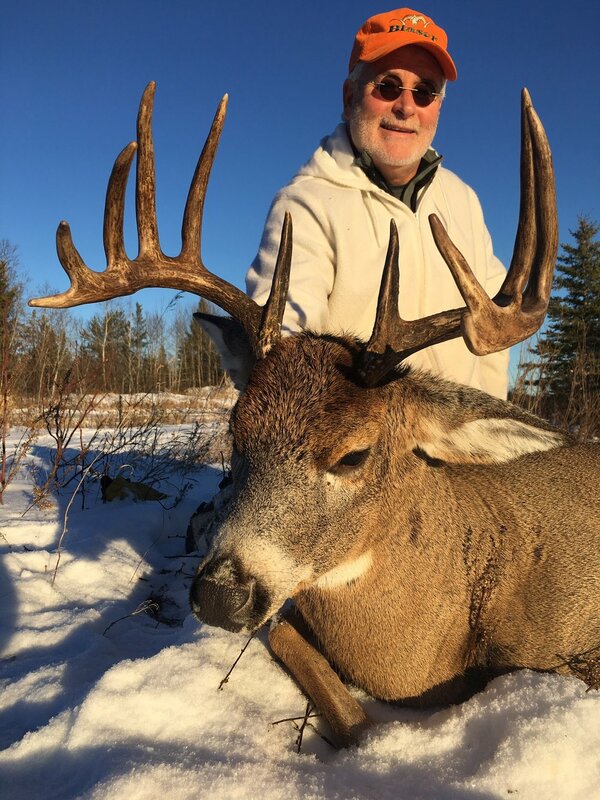 You have the option of taking your trophy to a local taxidermist or bringing an extra duffle bag and taking the frozen hide, cape and antlers home with you. If you choose to take your trophy home with you, all risks and additional luggage costs are your responsibility. 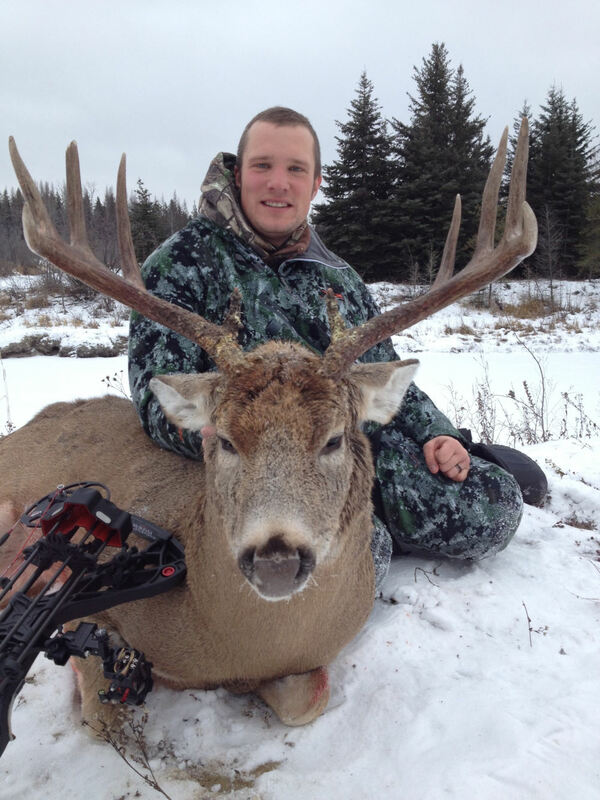 Virtually all Whitetail hunts in Saskatchewan are over bait. 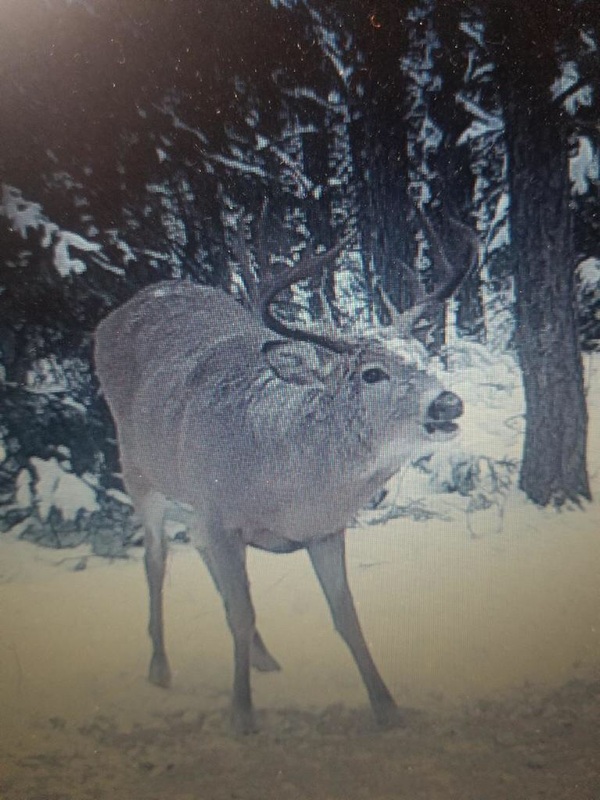 Baiting begins early in the fall with trail cameras set out to monitor deer activity. We set up a mix of ground blinds and ladder stands well in advance of the season. We take hunters to their stands before day light in the morning and supplied with a two-way radio for communication. Hunting runs November through first week in Dec each year. 5 1/2 day hunts run from Mon until noon Sat. $3,900 plus 5% GST. Observers are welcome: $1,000 plus 5% GST /person. A $1,950 deposit is required to hold dates. A non-resident licence, tag and allocation required $400 plus 5% GST. All lodging, food and beverages while hunting (Note: there is no alcohol in camp. 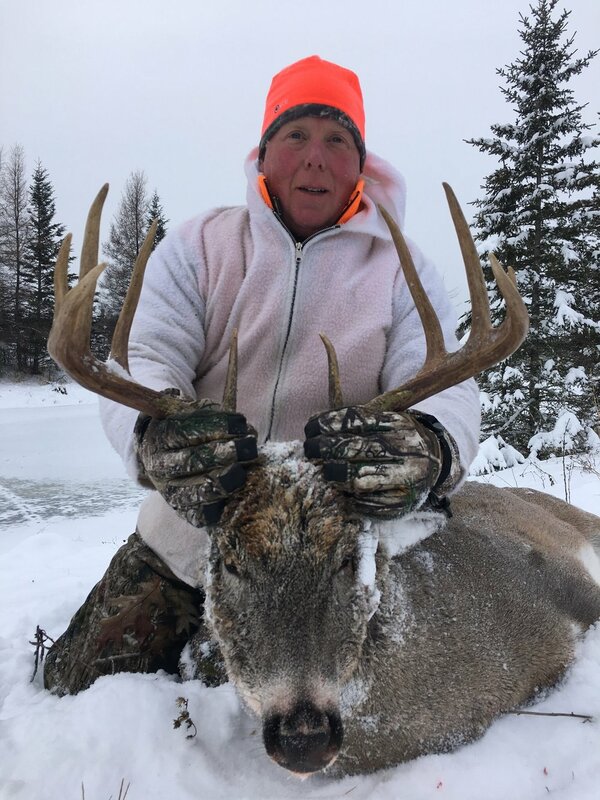 hunters may bring their own if desired and consume in moderation), transportation from Saskatoon airport to the lodge, professional guides and spotters, blinds, decoys, licences, bird cleaning (breasting only). All deposits and balances are non-refundable. We will do our best to reschedule your hunt or you may send another hunter in your spot if you are unable to attend. 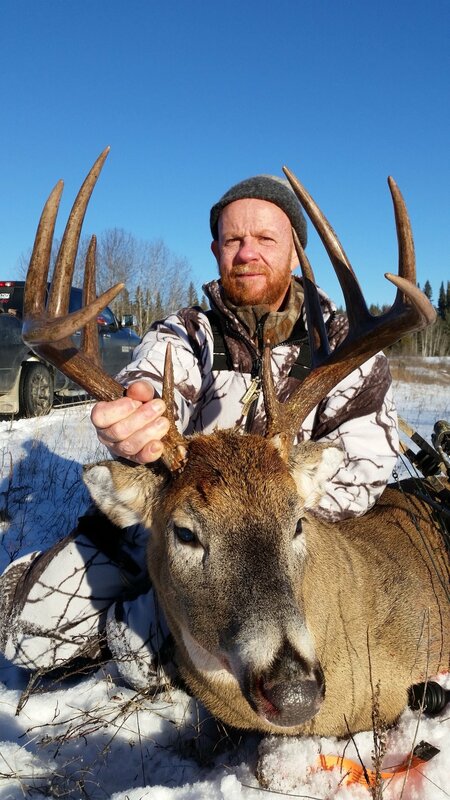 We recommend hunters purchase travel and medical insurance. Download and fill out the Government of Canada’s non-resident firearm declaration. The permit fee is $25.00 per person. Follow the instructions carefully when filling out the form. Be sure you do not sign the form until you are in front of a customs officer. If you have everything filled out and $25.00 CDN cash in hand the process goes a lot faster. Bow hunting is available for those who prefer it.